Corey (Toby Wallace) spends most of his time with Jango (Justin Holborow) and their group of friends, knowing that things will soon change as they’re about to finish school. But first: Halloween. 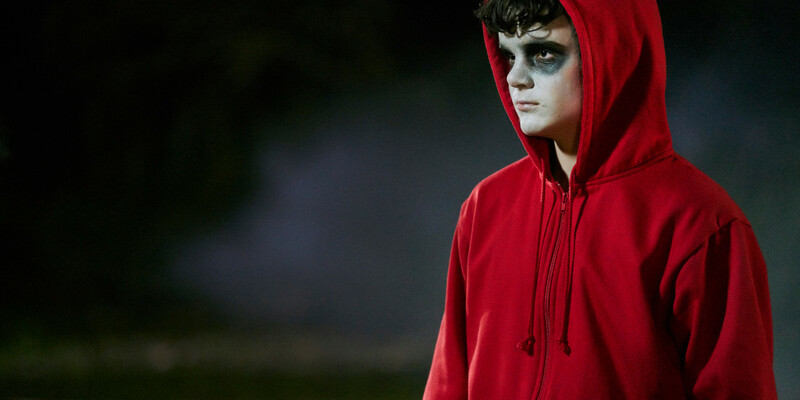 As they prowl through the neighborhood, they run into Jonah (Gulliver McGrath). Jonah and Corey used to be best friends, but by now, Jonah has turned into Jango’s favorite bullying target. But as the limits of reality shift around Jonah and Corey, they work through their past and present. Boys in the Trees is a beautiful, atmospheric coming-of-age film that doesn’t focus on the result, but celebrates the transition itself. I really liked it. 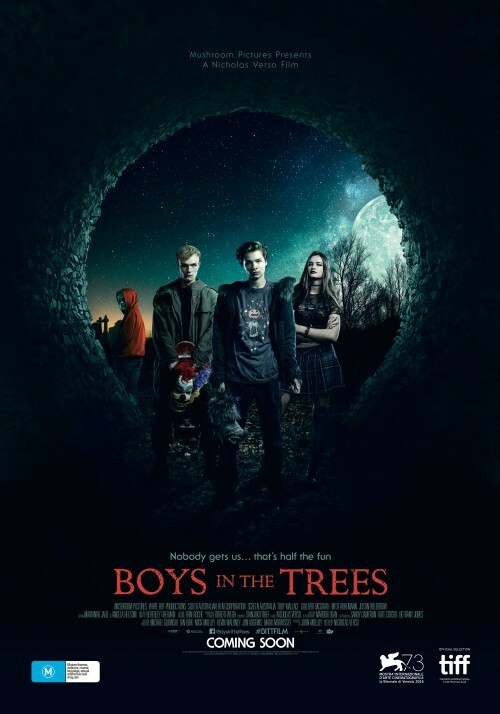 Boys in the Trees is a wonderfully narrated film that shows that you don’t necessarily need tempo to build tension effectively. It also features stories within the story and they were very-well done and incorporated as well, particularly visually. The characters were equally well-written and wonderfully brought to life by the cast. With this feature film debut, Verso has positioned himself as a fantastic storyteller. Nevertheless I still have a couple of things that I would have wanted to be different. Why was the only character of color a fairy tale creature? Why were Mexican traditions transplanted to (white) Australia? Why did the queer stuff have to remain subtext (even if it was undeniable subtext if you got half an eye for queerness)? Why weren’t there more female characters? The ending was also pretty obvious, but I was able to ignore that this was obviously meant as a twist and could go along with it as a narrative in a straight line – and that worked perfectly for me, because it really hit all the right emotional notes. It’s a touching, haunting film that manages to capture the magic of liminal times and spaces, leaving a lingering aftertaste that I wanted to hold on to for a while. This entry was posted in movies and tagged /slash Filmfestival, 2016, Boys in the Trees, Gulliver McGrath, Justin Holborow, Mitzi Ruhlmann, Nicholas Verso, Toby Wallace by kalafudra. Bookmark the permalink.